Engagement and wedding are very special and wonderful events for any couple that is why finding the right ring that will seal their union should be taken seriously. 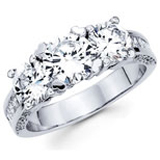 Finding the perfect engagement or wedding ring can be daunting at times. Men often times seek advice from friends before they go to a jewelry store to buy the engagement ring that he will give to his woman. It should be special but often times it doesn't need to be super expensive since the sincerity and love is all that matters. 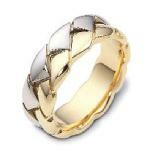 Rings are just symbol of love and should not equate the price into how deep they love the person. You can start your search by browsing various online jewelry stores to see their wide range of engagement and wedding rings.